There are just times when you just scratch your head and wonder why everyone can’t play fair. 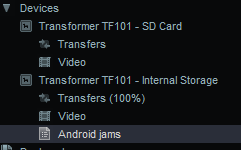 Well that thought occurred recently when I want to make my iTunes library available to my Android device, in this case my Transformer TF101 tablet. 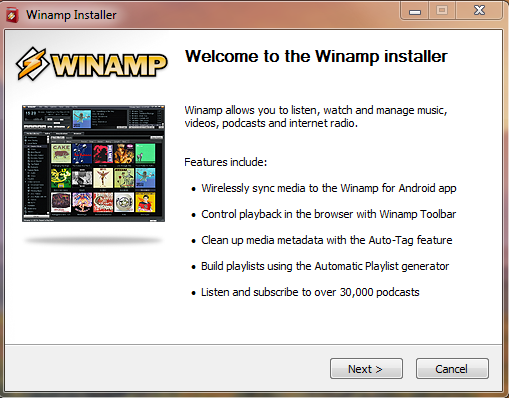 With a bit of searching I found that Winamp has the ability to import my iTunes library and an Android app was available for my tablet. 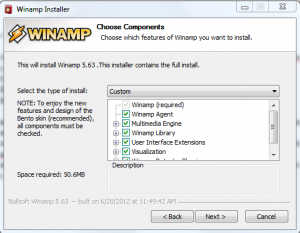 Winamp has been around for a longtime and is a very versatile player. 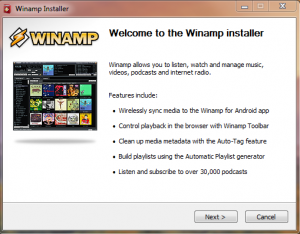 First download and install Winamp http://www.winamp.com/media-player/en on the PC and then install Winamp for Android on your Android device from Google Play Store. 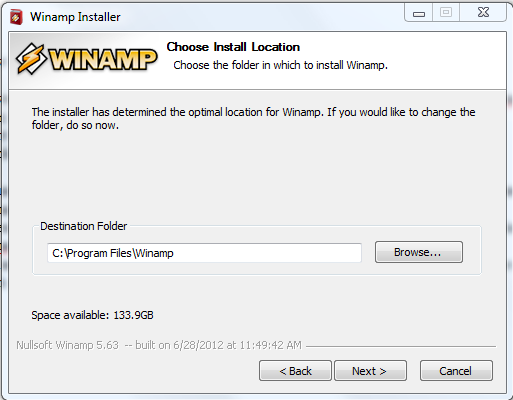 Click Next to accept the install location. 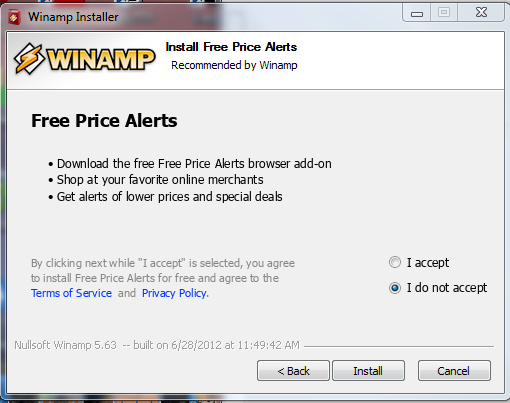 Click I Agree to the license agreement. 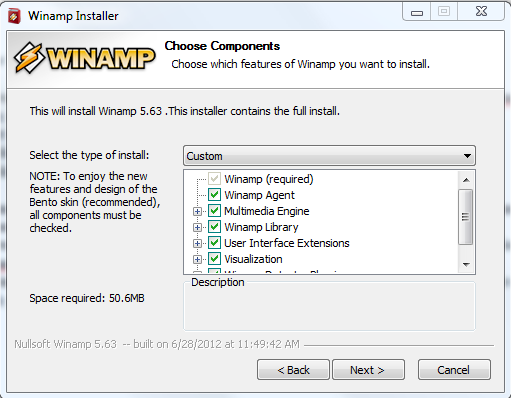 Click Next to accept the Components. 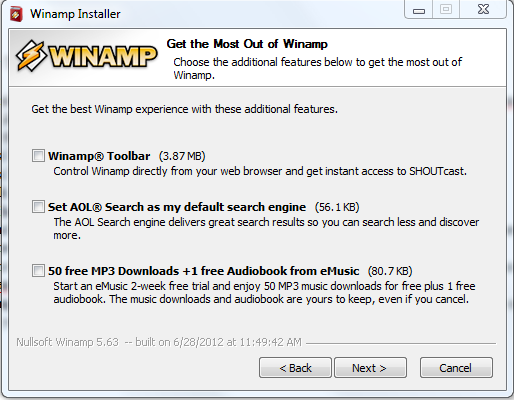 For the most of Winamp un-check all three boxes, Winamp Toolbar, Set AOL Search engine and 50 free MP3 download and click next. Click I do not agree for the Free price Alerts and click Install. 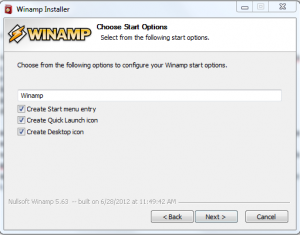 Click Finish to launch Winamp. 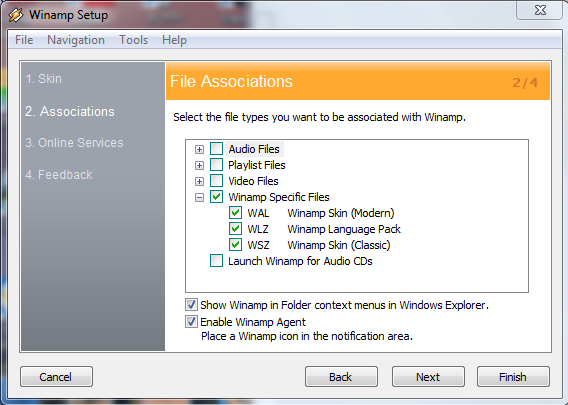 When Winamp starts a wizard will start and ask you to set a Skin, Associations, online services and feedback. Make the settings to your preference, but watch the Associations preference as this will change any multimedia settings. If you like the way your system is now then un-check all the boxes for Audio, Playlists, Video, the rest can be left the same. I chose to leave mine set to what I have and un-checked the Audio, Playlists and Video boxes. After installation has complete an add media pops up, click Import from iTunes. This will take awhile if you have a big library. Once the import box is completed you can click the close button. Connect the Android device via USB and select mount as Disk Drive or it will automatically connect. 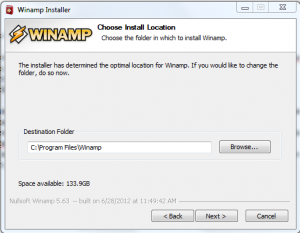 If not you may need to download the USB drivers from the device manufacturer. Open the Media Library in Winamp and look for devices, your device should appear in the selection. 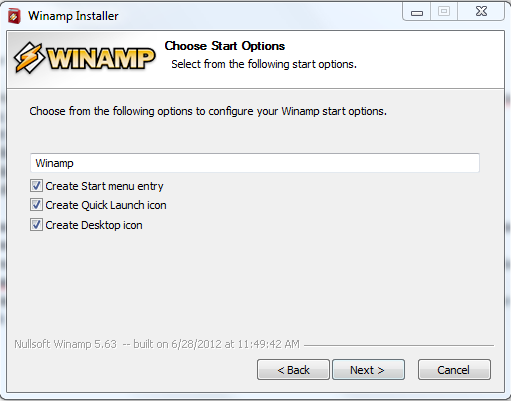 If not right click on Devices and select Start Discovery. 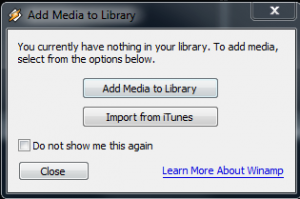 To import all your imported songs click on iTunes library right click on the device and click sync, otherwise create a playlist with your songs and sync it to the device.If your library is big you may not want to do this as to space limitations on your Android device. To create a playlist right click on Playlists and select New, name the list and accept. 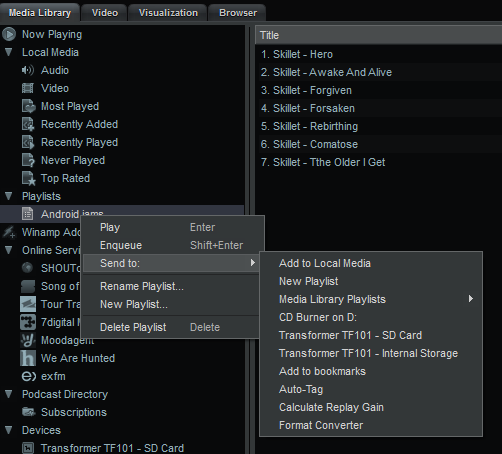 Just drag and drop songs in the list. When you are done sync them to your device by right clicking on the playlist and select Send To: your Android device. 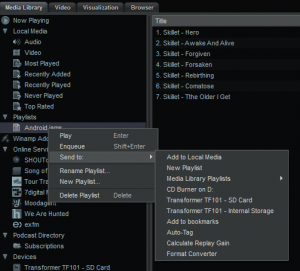 Verify your import by looking at the device and you will now see the playlist. 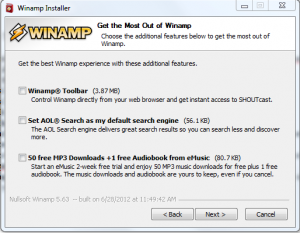 Access the songs on your Android device by opening Winamp on the Android and selecting playlists.